In case you haven’t figured it out yet, there is nothing I LOVE more than going to the beach in the summer. SwimOutlet.com recently asked if I would check out their website and try out their swimwear, so I immediately jumped at the opportunity! Since I spend most summers rotting away at the beach, my bathing suits tend to only survive one season due to the wear and tear that they go through. Swim Outlet.com has a TON of bathing suit options to choose from and they even sell name brands like; Roxy, Body Glove, Billabong and Michael Kors to name a few. Their website is the best way to search the name brands that you love all at the same time. When browsing their website, I was pleased to see that they not only sell bathing suits, but they also sell beach accessories such as; floats, hats, sunglasses, shoes, etc. 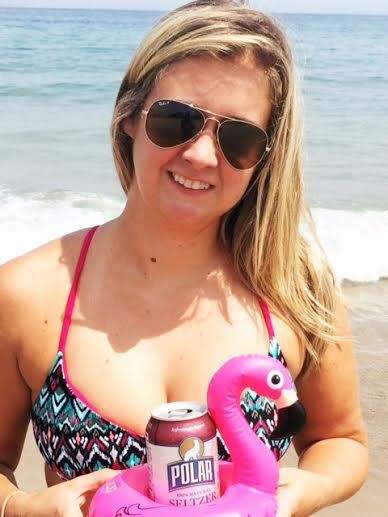 When I saw these inflatable flamingo cup holders I just knew that I couldn’t pass them up. There is still another month left of summer people, so head-on over to SwimOutlet.com for all of your last minute summer deals.